Popularized in the 1960’s by Andy Warhol with his depiction of Marilyn Monroe, Screen Print has been highly regarded ever since. This truly distinctive, handmade process is perfect for bringing to life a rustic or modern twist to your print project. Screen Print can achieve a wide variety of effects such as a vintage look when applied to Brown Kraft, or an elegant and sleek appeal when applied to Premium Black. Screen Print can be used on anything from business cards, wedding invitations, and even to posters.The detail is considerably sharp and provides a wider range of color options. Choose a CMYK or Pantone color, or an exciting fluorescent color for a resplendent look. Add another printing process like Embossing or Foiling for an extra wow factor. This handmade process ensures that we take extra pride in producing your project and we hope that you will feel proud when handing them out! 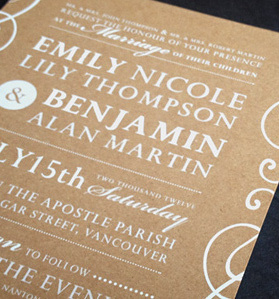 This printing process can achieve a wide variety of effects, such as the rustic or vintage look when applied to brown kraft and even an elegant rich white when applied to premium black. The manual screen printing process is done by hand and allows the designer to make adjustments as the product is printed. It is a stencil form of printing, where inks are pressed through a fine screen stencil to create an image. 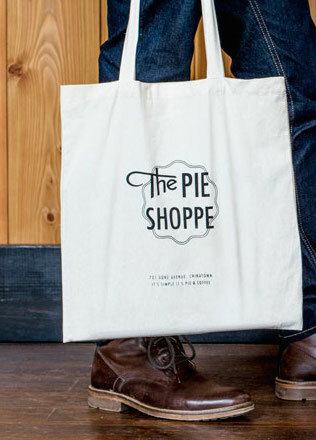 The process is common for printing on fabrics (such as t-shirts and tote bags), and we also use it for specialty custom print jobs. Inks used for screen print can be more opaque. It is a more manual (and hence more costly) process than Digital or Offset output printing. 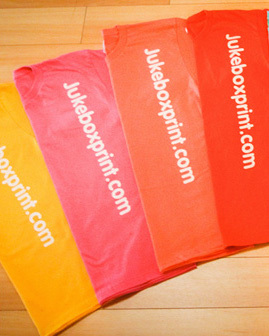 Screen Print is a specialty method of printing (also known as "Silk Screening", "Silkscreen" or "Serigraphy"). business cards page, under the Pricing calculator. Screen Print is available on all of our uncoated stocks - all colors, thin or thick. A complete list is available on our Screen Print business cards page, under the Pricing calculator. We do not recommend fine detail for screen print. Line weight should be a minimum of 1pt and in general, all text should be made more bold. Detail that is smaller than this may break up or not output correctly. Artwork for screen print must be set up and supplied in registration black (100 / 100 / 100 / 100). Your artwork also needs to be solid, meaning you cannot submit a photographic image or an illustration with gradients. See image below for reference. A gradient effect can be created by breaking up the design into a series of dots. If you do not know how to set up your artwork with halftone dots, our Prepress team can help with this setup at additional cost. Although screen print is produced in one solid color, you can have a regular CMYK design printed over top of the screen print at additional cost. This technique is often used to print CMYK colors over a solid screen printed block of white on darker colored stocks like Brown Kraft, making the printed colors appear more vibrant. This method is only available for designs with large, bold designs where the screen print can have a large margin around the CMYK artwork. Please note that screen print is NOT available over top of CMYK ink and needs to be produced directly on the stock material. There is a special setup required for this type of order. 2 PDF files will need to be submitted - one for the CMYK artwork and one for the screen print. 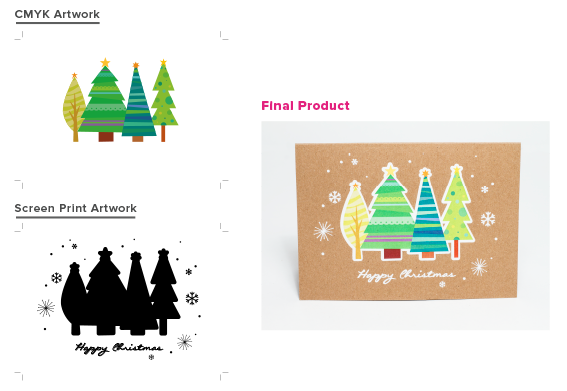 The screen print artwork needs to be larger than the CMYK artwork by 1/8" to help compensate for slight shifts that can occur between the two methods. Registration of CMYK printing over screen printing cannot be guaranteed 100% accurate. Registration of CMYK printing over screen printing is NOT recommended for fine details such as small text or intricate designs.